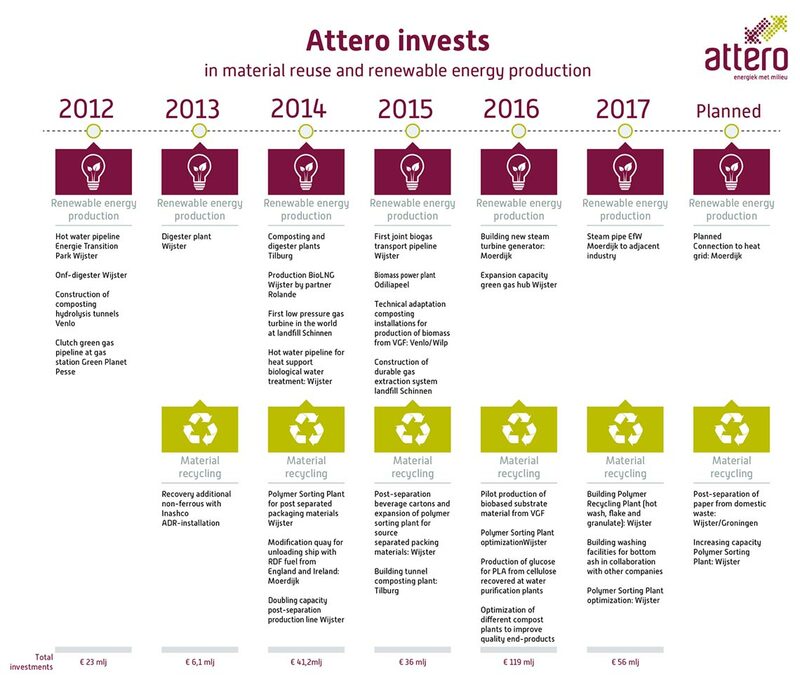 'Attero invests' clearly shows our ambition - to increase material reuse and the production of sustainable energy from waste flows. Each year we invest many millions of Euro in that ambition, such as the construction of the new steam-turbine generator in Moerdijk (>100 million Euro) or the construction of the polymer upgrading plant in Wijster to produce regranulate from plastic film (25 million Euro). These investments bring a sustainable society and circular economy within reach. Our plants facilitate our ambitions, and therefore we invest millions of Euros in maintaining, renewing and optimising our Energy-from-Waste plants, digesters, plastic recycling plants, compost factories and green-gas factories.